Don’t let the title fool you. I just love alliteration. 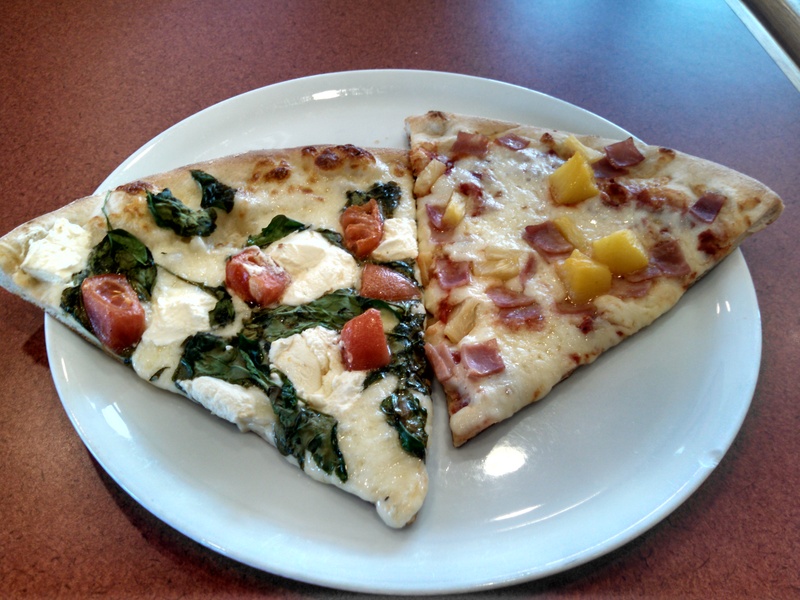 But, I did not love this weeks selections from Pizza Autentica. And I actually had this on a Monday. 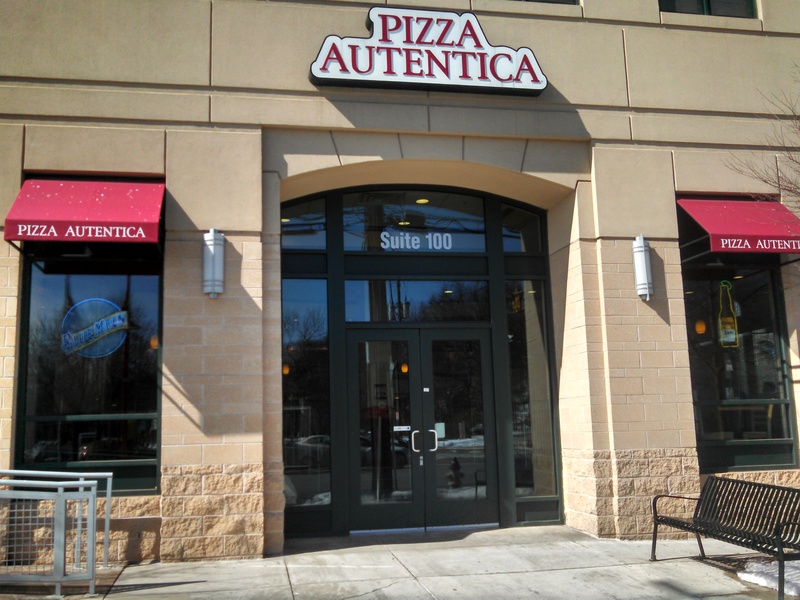 A little road trip led me to the College Park, MD location, not far from the campus of the University of Maryland. I haven’t lived in the Washington, DC area in nearly 7 years, so I wasn’t aware this restaurant existed, or that they had 8 locations. This wasn’t a good first impression. The location seemed cookie cutter and boring. I didn’t have a good feeling from the moment I walked in. And the pizza I tried represented that. Looks pretty doesn’t it? Well looks can be deceiving. I had the Hawaiian first. And I love ham and pineapple. But this was disappointing, The tomato sauce tasted funny. I can’t describe it exactly. Perhaps bland is the apropos term. The ham and pineapple didn’t taste fresh. And it was just thrown on top of a cheese slice. The mozzarella didn’t taste much better, so I know how weak their cheese is too. Nothing about this was authentic. It just seemed like a slice thrown together with leftovers, near or past their expiration date. Next, was the white pie, with tomatoes, basil, and ricotta. This was a little better, but not by much. In addition, the crusts for both didn’t seem cooked right. I don’t ask for much. I just want a pie, or slice, along with the crust to taste good. This was neither the right way a pie should be toasted nor how it crunches. It wasn’t the worst I’ve had, by any means, but both choices, seemed lifeless and mediocre. A fun thing about blogging, or many cool things in life for that matter, is that it can lead you to unexpected and unplanned destinations. In some ways, I am glad that this was my first review of a spot in the Washington, DC area. I know not every pizza place is going to bring about a positive experience. Hopefully it’ll get better from here.